Triptych, 1972, acrylic on canvas, 85 × 198 inches. Images courtesy of the artist and Postmasters Gallery, New York. I first encountered David Diao’s paintings more than twenty years ago as reproductions in art magazines. I was an undergraduate art student at Wabash College in Crawfordsville, Indiana, about as far away from the downtown New York art world as one could possibly get. Diao’s work has captivated me ever since. I was thrilled to show alongside him in the 2014 Whitney Biennial—in the section curated by Michelle Grabner—and I intentionally included a direct reference to him in my installation for the exhibition, Zero-Sum. I thought he would appreciate it as someone who commonly references other artists in his work. You may not know this, but Diao was also included in the very first Whitney Biennial exhibition in 1973. For someone who describes himself as having a “mania for congruence,” it seemed remarkable that (in a period spanning my entire lifetime) he’d been at the first and last biennials to be held at the Marcel Breuer building. 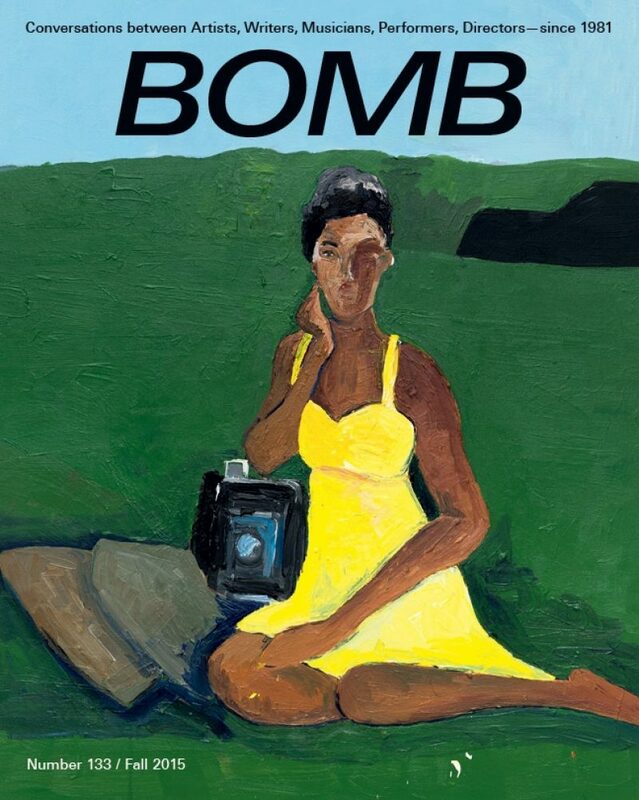 For the 2014 biennial, David showed the painting 40 Years of His Art, depicting an invitation to a fictitious forty-year retrospective at the Museum of Modern Art in New York. In his work, David often analyzes his own artistic production, as well as the arc of his professional career, and a full-dress retrospective has remained elusive. That is, until now. The Ullens Center for Contemporary Art in Beijing is mounting the first comprehensive retrospective of Diao’s work, set to open this September. I dropped by David’s loft in Tribeca, where he’s lived and worked since 1974, to discuss his upcoming survey and to look back at fifty years of his art. David Diao I was in China until I was twelve, but I left my home city, Chengdu, Sichuan, at the moment of the revolution, in October 1949. MD Your family needed to flee? DD My grandfather was on the losing side; he had his name on the blacklist, so we sought a way to escape. MD Where did you escape to? DD To Hong Kong, on one of the last planes available. My father was in America, and at the last moment of the crisis, my mother had taken my younger brother and sister back to her own parents’ home. While she was gone, my paternal grandparents were given the chance to evacuate, and there was simply no time to fetch my mother. So my immediate family was broken up for thirty years. I didn’t see them until 1979. My father was in America as a student and later as a structural engineer. I was able to join him in New York City at age twelve, in 1955. MD You studied at Kenyon College in Ohio, a liberal arts school. DD It was a strange choice. You never know why you pick something. Maybe it was some secret rivalry with a distant cousin who was the captain of the lacrosse team at St. Paul’s Prep School. He’d been rejected at Kenyon. I got in with a good scholarship. MD What did you study? DD I went as a dutiful son to maybe study pre-med. I did very poorly and lost the scholarship, and had no chance to transfer anywhere. So I was stuck there, but was rescued by the philosophy department. I managed to learn a lot of analytical philosophy early on. MD After graduating in ’64, you moved back to New York City. DD Yes, but immediately took an apartment on my own. I found a four room rent-controlled apartment on 25th Street for $43 a month. It was a fifth-floor walkup. MD And you took a job at the Guggenheim? DD First, I took a job as the sweeper-upper at the Kootz Gallery. Sam Kootz had been one of the first to show Abstract Expressionist work. He was a true businessman, and had exported a Cadillac as a present to Picasso after World War II. Hence, he was the only dealer in New York to have yearly access to Picasso’s work. He also had a lifetime commitment to Hans Hofmann. He’d always said that he would only keep the gallery open while Hans was alive. I was there during the gallery’s last year. DD —in February ’66. Then I worked at the Guggenheim, hanging shows when they needed extra help. It was a small institution then, like family. Ward Jackson, whom you showed, was the archivist. It was a nice way of entering the art world for me. Installation view of Sheet-rock, 1969, Paula Cooper Gallery, NY. MD You helped hang Barnett Newman’s Stations of the Cross in 1966. DD I remember that vividly because I already had a certain respect for Newman. I was also sitting in on Lawrence Alloway’s seminars at New York University. I even had Alloway to my studio, which was a great coup. He kept saying, “This is first-rate.” It sounded like what he’d say just to be encouraging to a young artist. He’d done the Systemic Painting show [at the Guggenheim], which was highly important to me. A lot of us then thought, crudely, that if you found the right format, you would have a body of work. That exhibition was based on this idea. MD Did you meet Newman at the Guggenheim? DD Yes, though I was a low man on the totem pole. I got to know him a little better as a bartender. We were able to cobble our lives together with part-time jobs, mostly to have studio time. I worked as a waiter, bartender, a grip on movie shoots, and what have you. One of my jobs was at one of Mickey Ruskin’s restaurants. It was across the street from Max’s Kansas City on Park Avenue, near Donald Judd’s studio on 19th Street. Newman came in several times. I’d see him at openings too. He was always willing to engage, but I was too shy to really speak to him. MD When did you start making work? DD Literature was big at Kenyon, but they offered some art classes. In fact, Kitty Rice, the widow of Professor Rice, the previous head of philosophy, had been a student at Cleveland Art Institute. She offered a few art courses, which I took. By my second year, they’d hired a guy named Joe Slate, who studied with Josef Albers. This was the beginning of my art education. He offered the famous Albers color course. It was useful to work at Sam Kootz’s gallery. I also had a brief stint working at Richard Feigen Gallery. Feigen was showing adventuresome work. I saw that close-hand and realized that what I was doing in my own studio was not less ambitious than some of this work. Also, Ray Parker, the youngest artist at Kootz Gallery, was a touchstone. He’d been one of the key figures in Greenberg’s Post-Painterly Abstraction show. He invited me to his studio, and I helped hang his show. I admired his earlier work with big color blobs. Then there was Bridget Riley at Feigen, along with Chuck Hinman. Hinman was doing amazing work with his shaped canvases, and I actually babysat for him. Through him, I met people like Robert Ryman and Lucy Lippard. The New York art world was quite small. Everyone knew everyone. Those jobs gave me access and community, and also a load of confidence that I was doing something possibly as interesting as the work of some of the people I admired. MD Was that in the mid-1960s? DD We’re talking ’65 to ’68. In ’66 I moved to a gigantic loft at 305 Canal Street. It had a thirty-foot-long skylight that reached up to twenty-five feet in the middle of the space—it allowed me to do a lot of that large work. My actual main studio wall was 110 feet long. A fourteen-foot painting was no big deal. Sales 1, 1991, acrylic on canvas, 42 × 36 inches. Da Hen Li cycle, from What I Can Remember, 2013, acrylic and marker on canvas 42 × 78 inches. MD Many artists then were making extremely oversized paintings. DD That was the unconscious legacy coming from Abstract Expressionism. They talked about big scale. We didn’t question it much. I’m still beholden to having all that space in which to flail, if nothing else. A space not so much to occupy but just to be—it’s a way of canceling out the surroundings. MD Yes, it’s all-enveloping. There were things about painting you did question, though. DD Very early on I understood art-making as critique: to move forward is to critique. MD Tell me about that. DD The first paintings were straightforward paint on canvas but, by the time I came to New York, the work was basically soak and stain. I accepted that notion of the paint being part of the surface. Touchstones were people like Frank Stella, Kenneth Noland, Morris Louis, and even the stained paintings of Alexander Liberman, whom Alloway always liked. MD Liberman’s work has fallen by the wayside in people’s memories, but it’s so good. DD His earlier geometric circle paintings are his best. So Stella provided me with an example of what art-making is about: what had been done, what you could do, what you could take out. My first work, around ’66, was done in series, with a format in which to deposit shape or color. These were square canvases, all constructed like Xs. I’d paint one side of a diagonal one color, turn it ninety degrees and paint the other half, radiating around the center. This had to have been informed by statements like Noland’s, “I couldn’t get to do my work until I found the center of the canvas,” in reference to his concentric circle paintings. Ad Reinhardt’s five-by-five canvases were very important too. Between Reinhardt and Stella and Noland, I came to do these square canvases. I had this ridiculous youthful arrogance. Noland said he needed to discover the center to do his work, but he forgot the corners. Here I was going right to the corners, covering the whole ground, including what my elders missed. That thinking is very Stella: his so-called deductive composition. MD Edge to edge, corner to corner. DD These were all soak and stain, done with brushes and sponges. The whole phenomenon was a reaction against the exuberance of de Kooning and Franz Kline, against that expressive hand, the painterly touch, and so forth. DD The bravura. A way out of that was, for many of us, to come up with other means of getting the paint onto the canvas. People used rollers, others used scrapers, sponges, turkey basters. I was mostly using a six-inch squeegee, a car washer, since it gave me a two-and-a-half-foot extension. MD But you developed larger squeegees over time too, right? DD The paintings physically got larger. I realized that the specificity of that six-inch scraper determined the painting’s scale. It came to me that a way to make the scale bigger was to actually make a bigger mark. That’s when I came to pick up the cardboard tubes that were strewn all over the streets of SoHo; I used them as enlarged scrapers. DD Every night there would be bundles of them. It was great; I didn’t have to buy brushes, nor clean them. MD The materials of your environment. DD Yes, I’ve always had a sociological connection to my surroundings. At first, they were random sweeping, curvy marks, and I’d sometimes roll the tube as well, not just scrape. But at some point, in the interest of deductive logic, I wanted a correlation between the mark and the substrate of the canvas, so I thought I would make paintings that used an instrument of a certain size to make paintings the same size. It would only be oriented one direction: up and down or left to right. I had a studio for a year or so on Broome Street, which had a sloped floor. These paintings had to be done horizontally in order to have the paint not run off the edge. I made a very large table and thought I could stretch an eight-by-twelve-foot piece of canvas to do two paintings at once. As I was doing that, the two sides began to interact visually. MD These were the bilateral paintings? DD Like open books. I couldn’t control what was happening at the far end of the canvas, so I let whatever paint spilled out do what it did. My job was just to decide if it worked or not. Also, I wanted to supersede the convention of keeping paintings abstract by calling them “Untitled,” so I started titling the paintings with names that came from books: Wealth of Nations or Tiger’s Eye, for example. MD Let’s talk about the first opportunity you had to show your work. You were part of a group show at Park Place Gallery. DD Frosty Myers, still a good friend, invited some of us—Lee Lozano, Rosemarie Castoro, and others—to be in a group show there in 1967. Paula Cooper was the director at Park Place, and she was beginning to think about opening her own space. I became one of the first eight people she showed in her inaugural show, which included Lynda Benglis, Bob Huot, Harvey Quaytman, Richard Van Buren, Bernie Kirschenbaum, Frosty Myers, and Leo Valledor, too. MD Valledor’s another very good artist. DD He died too young. Paula’s space was at 96 Prince Street. Initially her idea was to represent a group of artists, and whenever they came up with new work she would show it. I proposed doing a show with sheetrock, plaster, and Homasote, using industrial materials as art materials. The so-called “death of painting” scenario was ongoing. A key thought for me was Wittgenstein’s idea that if you look at something with a certain lens, you see it in a certain way. With a blink, you see it in another way. It’s looking at the world as a painting. Viewers were invited to see what they might normally see as an unpainted wall as a painting. MD Moving forward a bit, tell me about the work that you made during the early ’70s. DD Moving to Franklin Street in 1974 was a big thing. DD Yes. I’d had a studio on the Bowery for three years, right next to where the New Museum is now. It had ten-and-a-half-foot ceilings, but given the expanse of the floor space, it felt low. I’d been working on the floor, which was something I took from Pollock—it was a convention then. Things had become mechanical, and I wanted a way to engage with the canvas again in a more direct way. I luckily found this building on Franklin Street, completely empty. I negotiated to rent basically the whole building, and ended up sharing it with Ron Clark and Yvonne Rainer, my colleagues at the Whitney program, where I taught from 1970–2000. I have lived here for more than forty years. This building has beautiful wood floors, which you wouldn’t want to mess up. My loft has fifteen-foot-high ceilings. That gave me a chance to get back to working on the wall and to deliberate shape-making again. That was coupled with meeting Al Held. In ’73 or ’74, I was a visiting critic at Yale, and would drive up there with him once a month. If you knew Al, you’d know that he loved to talk about art, and he was always argumentative. That was a Yale education in microcosmic form. I preferred his work from ’65—the big letter forms overlapping, the half-circles. He did them in a kind of intuitive, immediate way, with big brushes and so forth. So when I came to think of making paintings with overt shapes, I would do them with rulers and compasses—by that I mean a nail with string—and taping everything off. I did not want to make shapes that came out of the unconscious. I wanted something accessible. I would use the kind of tricks that Al Held did in his paintings. He would show you part of a circle, with another bit peering out at the other side of the canvas, and your mind would complete that circle even though it may be behind a plane. MD Simple geometries, but not patterns. DD I was already thinking of how to stay away from the grid. Not having a proper art school education, I’ve always had a lot of diffidence about my abilities. Using plane geometry to make these paintings was a way to learn about color interaction and composition. I took to heart Newman’s advice that everything has to be done prima facie. You don’t blow something up, you do it right there in that space. I would do these big paintings completely without any sketches. DD Yeah. I came to see that geometry is also a form of representation, and that there are certain conventions you cannot balk. I had tried to combine the spontaneity of Abstract Expressionism with Constructivism, but it didn’t work. DD Because of the prior meanings already accrued on those forms. The minute you see those constructed forms, you think, Ah, geometric painting. All That I Remember, 2013, acrylic on canvas, 42 × 78 inches. MD Did you take time off then? DD Production really slowed. Also, in modernism, you have the idea that you can do a painting that nobody has seen before. I realized how impossible that was, yet I still wanted that somehow. So I went off to Paris for a year. I was reading all of these French people anyway, so why not go and read them there? When I came back to teach at Bard in the summer of ’84, I didn’t quite know what I was going to do. This was the moment of big debates in the art world about appropriation, original versus copy. This allowed me to go directly to Malevich. In the first painting I made after not working for a couple of years, I placed the Palestinian flag next to a Suprematist Malevich drawing. They both have an inverted black triangle. I then referenced Malevich’s directly by using that famous photograph of the 0.10 [Last Futurist Exhibition of Paintings] show. MD What was it about that photograph that intrigued you? It was the basis for an entire exhibition. DD It’s the canonical photograph that supposedly announces the origin of abstract art. It’s so ubiquitous it’s invisible. I thought it would be an interesting image to use given the contributions of people like Sherrie Levine and Richard Prince, who were reframing and presenting existing images in a new way. MD That got you back working again? DD Yeah, I would do one and I would get an idea for using that image in another way, by flipping it, doubling it, off-siding it, sliding it. I ended up with a whole show at Postmasters. MD This was a radical departure from your earlier process-based work. I arrived in New York in ’94, so in my mind, I identify you with these works from the mid-’80s. DD Did you actually see that show? MD No, I was too young; I saw those works in reproduction. DD Like ten years later. MD Yes, in books about new painting in New York at that time. I didn’t know about your earlier work until the High Times, Hard Times 1967–1975 show, curated by Katy Siegel, with a group of collaborators including David Reed. DD This certainly was not an issue. To pick the Malevich photograph from the 0.10 show was an overt acknowledgment that photography was part of the visual culture. I was making paintings based on something that already existed, whether it was another painting, an image, or an advertisement. It wasn’t just Malevich who got my attention; even more so it was Rodchenko and Lissitzky.Remember they did their Constructivist art alongside publicity. MD What was it that grabbed your attention? DD Their revolutionary, political, social aspirations. I admire that they didn’t think of art as this thing off by itself, but as being ingrained in life. MD What about your surfaces at this time? DD By ’86 or ’87, I was using exclusively a palette knife totally out of expediency—no brushes to wash. It allowed me to really compress that paint onto the canvas. MD Pushing it into the weave? DD I don’t even begin with color until I have filled up the canvas texture with paint, so it’s as smooth as possible. It has that sense of being honed, waxen, sensuous. Brice Marden’s early wax surfaces I admired very much. MD Were you looking for a certain kind of surface? DD Yes, workman-like. In 1987, I was making a painting based on Vilmos Huszár’s 1917 De Stijl painting of stylized, geometrical figures. He designed one of the original Bauhaus logos and was one of the key figures around van Doesburg. This painting of his references the sixteenth-century Dutch genre painting of skaters on a frozen canal. I thought it’d be great to take that and use it in another way. I scaled it up to eleven feet wide, and the ground became a kind of grey greenish ice. The figures were the same colors as his. People first see this painting as random geometrical forms, and then, if they look closer, they can see figures skating on ice, or lifting a leg up and doing a pirouette. That funny contradiction between recognizing an image and having it stay abstract was what interested me. The steel blades of the skates and my palette knife had a correspondence. I was very aware that most of my work, given my lack of training, has been stuck in the realm of hard-edge geometry. And so I ended up calling that painting Skating on Thin Ice. MD As a reference to yourself? DD In a way, which is also why I ended up doing that group called Little Suprematist Prisons. DD In ’86. It was the show after the Malevich photograph one. I wanted to come home. Research on Constructivism was taking me further away from New York and I wondered if I could dissolve that distance. Very quickly I hit upon Robert Motherwell’s Little Spanish Prison. Given the history of New York painting, it’s highly important—for Frank Stella, Sean Scully, and anyone who does parallel stripes. I decided to conjoin Malevich and Motherwell, the European avant-garde and the New York School. Little Suprematist Prison #16, 1986, acrylic on canvas, 32 × 16 inches. MD Funny, I always read your prisons in relation to Peter Halley. DD There’s also a Halley reference. The problem with my work is that it has multiple references. In ’86 Peter Halley had already written his brilliant essay “The Crisis in Geometry,” from which I learned. He put into play the word prison. MD This is the beginning of a generative process where you reissue and reuse works that you’ve made in the past. DD That’s the way I work, against the notion of starting from scratch each time. MD Let’s return to Newman for a moment. DD By chance, I happened on a book by Brenda Richardson from the Baltimore Museum, which includes a list of all the works that he did, by year, under different categories: paintings, sculptures, drawings, prints. To my astonishment, I noticed that in his twenty-seven year career, on average, he made less than five paintings a year. The convention is that important artists are highly productive, that they can’t stop their brush from moving. And here this guy, who means so much to me, did so few works. So based on his series Who’s Afraid of Red, Yellow and Blue, I did a big red Newman-esque scale painting, with my palette knife-honed surface. The information I wanted it to present was so dense, that I could not paint it by hand—I decided to use computer-generated vinyl signage. The best thing about art-making is that you plan everything, but once the work is done, you’re surprised by accidents that make it more interesting. If you were making a poster as a graphic designer, you would know not to put blue lettering on a red ground. You get dizzy. In this case, what resulted is a thirteen-foot-wide canvas with its simultaneous contrast making you dizzy. Newman talked a lot about the sublime, and here I was presenting my optically induced sublime. MD Again, it’s this double read: you’re seeing the piece both as an image that’s reminiscent of a Newman painting, and on second look, you read it as an information diagram. What I find so provocative about that work is that it doesn’t sit in one canon, in one point of view. DD I used the conventions of charts, but what I do is never pure in any way. It’s hybridized. MD You’ve done diagrammatic works about your own exhibition history too, your résumé, your sales history, studio spaces you’ve occupied. DD I started by using my own CV as a work around ’90 or ’91, cued by the paintings about Newman. MD You became the subject matter of your own work, but not in an autobiographical way. DD That’s it. My thinking was, What would I do if I were to make some work about being an artist in the late-twentieth century, without talking about the artist’s private life, just presenting the public life? I was using myself as an example of a large class of people: late twentieth-century artists. MD So you present yourself as a case study. DD Exactly. I used my twenty-two-year CV in one of the paintings to show the ups and downs in the career of the average yeoman artist. The CV begins with a lot of shows, peters out to nothing, maybe has a start or two again, peters out to nothing again, and then gradually maybe has more shows. It’s the stop and go that interested me. MD It’s similar to the works you’ve done about your sales history as well. DD That’s a big taboo; people don’t talk about sales. So I made work using red dots, with the charge of the forbidden around it. Another painting I did has the footprints of every studio I ever had, in the scale of one inch = one foot. It’s a way to image a life in the arts. I named that show at Postmasters A Real Allegory: 1969 to 1991, which was the name Courbet gave to his painting of himself in the studio, and there’s the muse, the innocent boy, the faithful dog, and he’s surrounded by his collectors, his critics, and so forth. That’s where Plus and Minus came in. MD Tell me about that pair. DD Part of an artist’s life is the work and its reception. I took two ’70s paintings of mine. On one I plastered positive reactions, and on the other I plastered negative reactions. MD These were reviews of some of your hard-edge, geometric paintings? DD Yes, I reemployed the paintings as the substrate for new paintings entitled Plus and Minus. I screen-printed actual reviews and articles on them. There’s a mania for congruence. MD One of the works you showed in the 2014 Whitney biennial is a painting of a fictitious invitation to your retrospective at the Museum of Modern Art. DD Yeah, after A Real Allegory in 1991, I’d already, shamefully, revealed my sales record. I had screen-printed good and bad reviews directly on paintings, so I wondered, What could I possibly do next? I thought, MoMA will never give me a retrospective. I should just give myself one. Given my custom of making sure that my references are direct and not invented, I visited the MoMA archive, where I saw the invitation card for Pablo Picasso: Forty Years of His Art, in 1939. I took that and made myself an invitation to my fictitious show at MoMA. MD In the ’90s, aspects of your personal background entered your work. You started referencing elements of Chinese culture, such as Bruce Lee or the word yellow, for instance. DD Having given myself a show at MoMA, I said, Why stop there? Why not have shows in other major museums? So I referenced a posthumous retrospective for Joseph Beuys curated by Harold Szeemann at the Pompidou Center. The card is just a big portrait of Joseph Beuys in his characteristic hat. I didn’t want to use my own image, so I came up with the idea of using Bruce Lee—the most visible Asian person in the world. DD Remember, I am the immigrant boy who came at age twelve and wanted to assimilate. I basically jettisoned my whole Chinese background. But then issues of identity were very much in the air. In adjusting to that, I started to do work using those references. Minus, 1991, acrylic and silkscreen on canvas, 79 × 127 inches. We Were Neighbors, 2014, acrylic and paper collage on canvas, 88 × 68 inches. DD That painting [Pardon Me, Your Chinoiserie is Showing, 1993] has an interesting backstory. I visited Catherine David at the Jeu de Paume on a wintry day sometime in the mid-’90s. She was peering at these four-by-five transparencies against the darkening sky of Paris. We talked desultorily about this and that. In leaving, as I was going down the stairs, she said, “Well, you’re not really a Chinese artist.” I didn’t know what that meant. MD We’re having this conversation because of your upcoming retrospective in Beijing. It’s your first actual retrospective, not a fictitious one. DD My work just fell flat in China before a show I did in 2008 called I Lived There Until I Was 6… or Da Hen Li House—my childhood home’s address. It’s the kind that doesn’t really resonate there. They tend to like universal themes—life, death, transcendence—which my work is anything but. But part of what they value is that I have this long history in the international art center of New York. The drama of leaving the country in 1949 has always been in the back of my mind. I Lived There Until I Was 6 was my deliberate attempt to meet the Chinese halfway. In brief, the idea was to bring back that house where I was born that I never saw again. I was there thirty years later, right after the house had been demolished. Since we left very quickly, there are no photographs. The house had a tennis court, whose measurements are constant. So thinking about that, I recreated the house for myself by using the dimensions of the tennis court. I had the chance to engage my uncles and aunts, who, being older than me, had more precise memories of the place. I made drawings based on their memories and combined them with my memories, interweaving them with the history of post-revolutionary China. That was the germ of the idea, and just like in the Little Suprematist Prisons, it started with one or two, and before I knew it, the series grew into dozens. MD I saw a recent painting that overlaid images of an aerial view of Hong Kong on an aerial map of Manhattan—with connections between places in China and New York City specifically. DD When I was offered this show at Ullens, I wanted to update the Sichuan house paintings with something a little bit later. I lived in Hong Kong for five years before coming to New York, and it seemed like a good segue to deal with the period between ’49-’55. I have some memory of living in Hong Kong in absolute depression, surrounded by my grandparents and young uncle and aunt. We’d lost everything. My grandfather was just staring into space smoking away, completely demoralized. I remember walking down the stairs and passing the open doorway of the neighbor, who happened to have been a very famous movie star, Li Lihua. In contrast with our squalor, her place would have perfume wafting out, servants paddling around in white uniforms, polished wood…. I overlaid on a map of Hong Kong—Kowloon, actually—a movie magazine cover with her image, and an image of me as a ten-year-old boy. The painting’s title is She Was A Neighbor. For other works, I juxtaposed Manhattan and Tsim Sha Tsui, a particular neighborhood in Kowloon, which was open to the sea when I lived there. Now it’s completely surrounded by landfill, and you don’t see anything but tall buildings. MD Do the Chinese think of you as their own now? DD They love to reclaim what they think of as their own. Matthew Deleget is a Brooklyn-based artist and curator. He was included in the 2014 Whitney Biennial. Deleget co-founded MINUS SPACE, a gallery based in Dumbo, Brooklyn, specializing in reductive art, where he has organized more than sixty solo group and solo exhibitions. The second installment of a round table discussion on ideas of utopia and modernity in painting.